William Morrow, 308 pages, 978-0-06-233026-0. 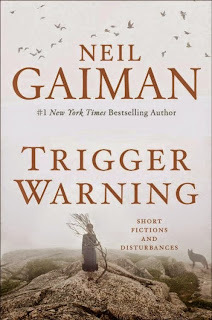 Trigger warnings are those small cautionary flags thrown up to warn that some sort of content (image, speech, written word) may induce discomfort for some listeners, viewers, or readers. They are, depending upon one’s point of view, either polite warnings, excuses to present objectionable material, or a form of censorship aimed at further infantilizing American culture. (Full disclosure: I am in camp # 3.) It’s a perfect title for a Neil Gaiman book, as few modern writers take readers as far from their comfort zones as he. One of the things that makes Gaiman a great writer—as opposed to pulp hacks like Stephen King—is that he knows that “disturbances” are caused as much by the imagination as by any specific action or image. Like earlier writers such as Edgar Allan Poe and H. P. Lovecraft, his horrors often reside in dream worlds, random thoughts, imagined terrors, and mental meanderings; in essence, we fear the things that we can envision more than the unknown or unseen. 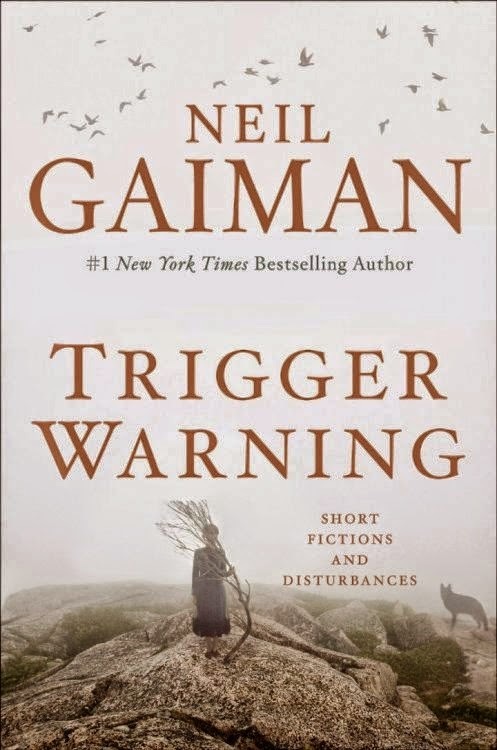 In a new collection of short stories, Gaiman demonstrates another level of wisdom: the understanding that triggers are linked to more than simply raw fear­–they are highly individualized and they come in unexpected forms. Sometimes it’s an encounter with a man who might be a werewolf (“A Lunar Labyrinth”), but it might be a terror linked to faded memory (“The Thing about Cassandra”), or even musing upon a David Bowie lyric (“The Thin White Duke"). Those familiar with Gaiman’s work will recognize a few of his personal inspirations. He has written a tale of aged Sherlock Holmes (“The Case of Death and Honey”), a new Doctor Who episode (“Nothing O’ Clock”), and reworked fairy tales (Cinderella in the case of “The Sleeper and the Spindle”). He also reduxes his character Shadow from American Gods in “Black Dog”. One his more deft turns is using humor as a trigger warning, which he does to great effect in “And Weep, Like Alexander,” an offbeat tale about an odd little man whose profession is that of an Uninventor. That’s right—he uninvents things humankind creates that would simply cause more havoc than good. (Where was he when the Segway was manufactured?!) This tale is typical in that there is, in fact, nothing in the entire collection that would tempt you to sleep with the lights on. But make no mistake, triggers are repeatedly pulled. This documentary created a small stir when it first came out in 2007. Earlier this year it was re-released in Blu-ray and, if your tastes run toward the offbeat and surrealistic, it’s well worth watching—even though parts of it are now outdated. Maddin’s Winnipeg is one weird place and he too has, in popular parlance, “issues.” Among the strange revelations about Manitoba’s largest city: it is among the world’s coldest cities, it was once a hotbed for spiritualism, the city used to hold an annual treasure hunt whose winner got a one-way rail ticket out of town, and it has the highest measured level of sleepwalking of any known city. The latter is so pronounced that a local ordinance gives citizens the right to possess keys to former residences in case they wander there in a sleepy stupor. If that’s not weird enough for you, consider this factoid: a 1935 winter fire at a local racetrack allegedly sent horses rushing into the Red River, where the ice trapped them and preserved them. Locals strolled through upon the frozen river to visit grotesque monuments: the frozen heads of horses pushed through the ice with their faces captured in the final throes of death. Those what ifs apply to both Maddin and to Winnipeg. In a Michael Moore-like shift, Maddin also explores changes in the city: a provincial sports hall of fame that moves more often than someone in the witness protection program, the demolition of both the downtown Eaton’s Department Store and an iconic ice hockey arena, the loss of the Winnipeg Jets NHL franchise, the impending doom of The Bay…. In this guise, Winnipeg comes off as Flint-upon-the-Prairie and it underscores Maddin’s desperation to flee. Ever notice how people who make films about getting out often don’t? 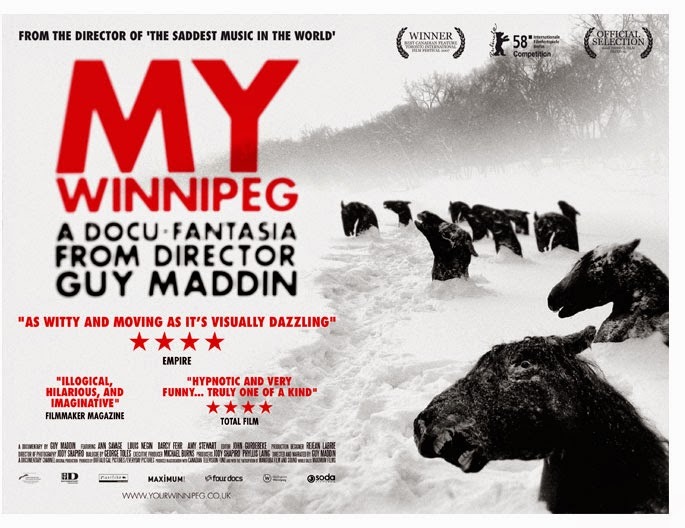 Maddin also plays on the metaphor of Winnipeg being the geographic center of North America. (Note to US residents: Take a look at how much of Canada lies to the north of Winnipeg.) Winnipeg might be weird, but it’s also defiant, a spirit represented by its 1919 general strike. In like fashion, people there must put down pretty deep roots if they hold onto door keys in case they sleepwalk into the parlor. Maddin’s running commentary is, by turns, poetic, irreverent, wistful, and even hopeful. Since 2007, the Bay closed, but the Jets returned. Like frozen horse heads, Winnipeg’s cycles are marked by ephemeral monumentality yet signs of struggle and life.